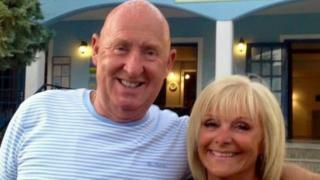 E. coli caused the deaths of a British couple who died after falling ill at a holiday resort in Egypt, the country’s authorities have said. How dangerous is E. coli? Any strain of E. coli capable of causing the couple’s deaths so quickly would have been very toxic. But E. coli has killed before, often after people have consumed contaminated food, such as meat, bean sprouts or salad leaves. The internal organs, like the liver and kidneys, are affected and simply start to shut down. Travel firm Thomas Cook said it noted the statement from the prosecutor and said it would continue to support the Coopers’ daughter and the rest of their family. “We have not yet seen the full report and we will need time for our own experts to review it,” a spokesman said. Dr Rania Al-Mashat, Egypt’s minister of tourism, said the health and safety of tourists to Egypt was “paramount”. “We will review the Attorney General’s autopsy reports in fine detail to determine our next course of action to look after the welfare of our visitors,” she said. Earlier, a report in The Times claimed that the room in the hotel next door to the one the couple shared had been fumigated. But the head of the firm that carried out the work, Namaa Services, denied any wrongdoing and said it used authorised concentrations of chemicals. The Egyptian prosecutor’s report, issued on Wednesday, also said the smell in the couple’s room, which had been mentioned by Ms Ormerod, was that of an insecticide used in an adjacent room. It said the chemical was non-toxic and there were no traces of it discovered in samples taken from Mr and Mrs Cooper’s bodies. Last week, hygiene tests at the Steigenberger Aqua Magic found high levels of E. coli. Thomas Cook said at the time the independent experts it had commissioned to carry out the tests did not believe the results “shed any light” on the cause of death. Mr Cooper died in his room, while Mrs Cooper, a Thomas Cook employee, died after being taken to hospital.